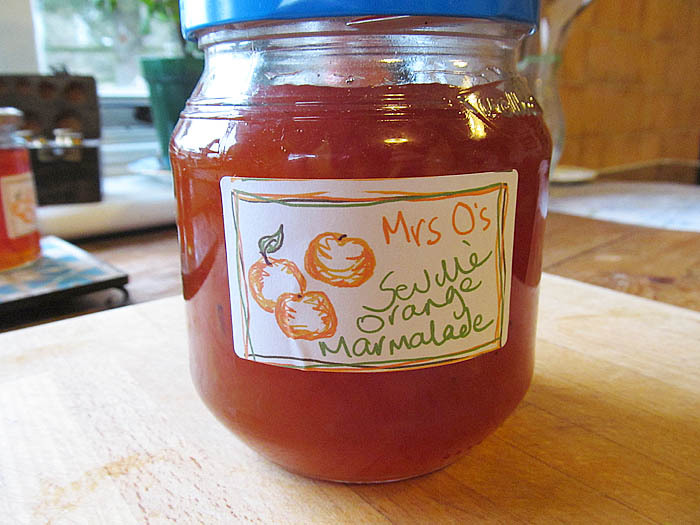 When I saw the blood oranges were in season on the market stall I like to use (nice un-packaged fruit and veg) I thought I would try making some marmalade with them to see what it was like. 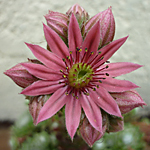 I should have worked out the costings so I could share with you how little you can pay, but I forgot to record it so I might add it later. 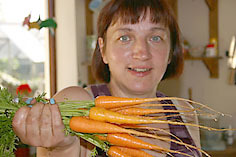 They are not very attractive are they? 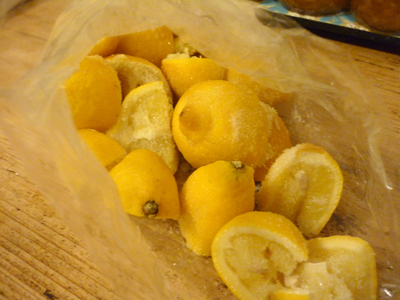 ..but look how pretty they are inside! 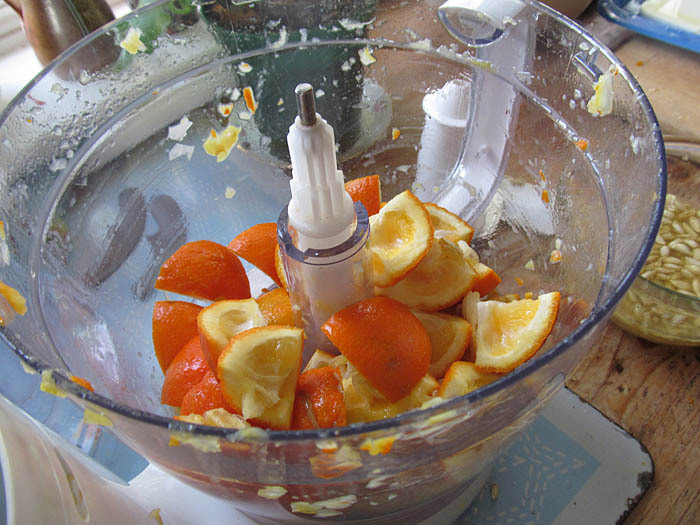 I chop my oranges in my food processor for quickness. 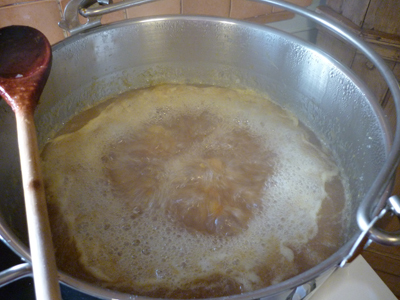 ..
….then the marmalade is all pulpy and nice. 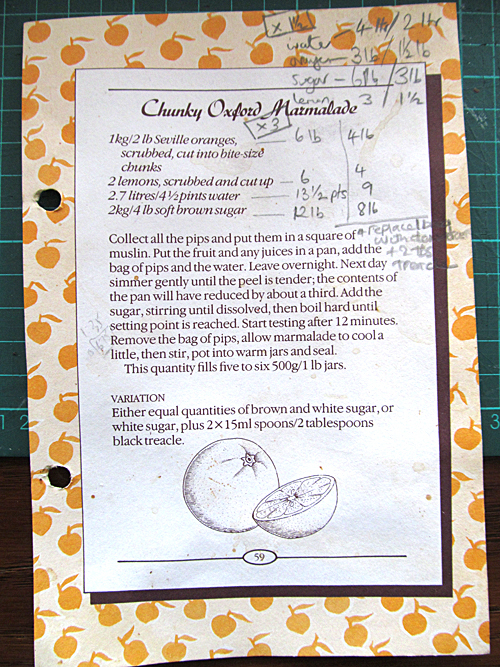 I did have some trouble with the recipe I found, so had to do some adaptation from my normal Seville orange marmalade recipe to get it right. 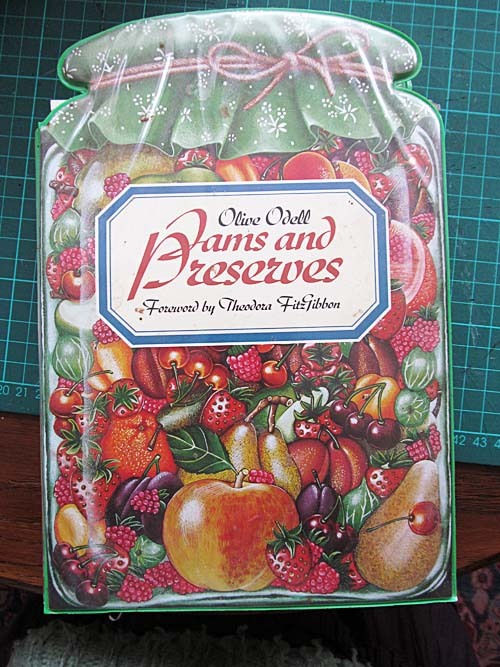 Trust me, if you have a go at preserving and it doesn’t work out, it could be the recipe and not you! 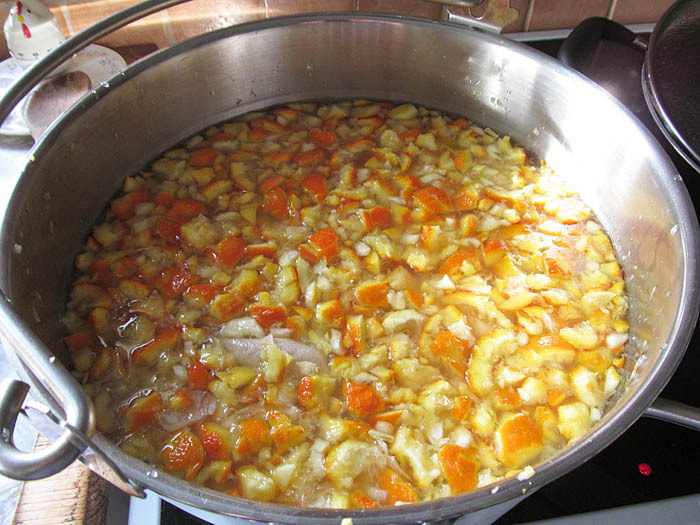 Woohoo – I actually made my marmalade last week 🙂 Luckily Seville oranges do last quite a while if kept in a cool place. 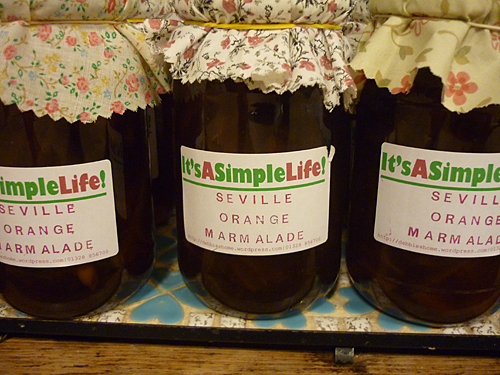 My husband feels much happier now that the pantry is stocked with marmalade! 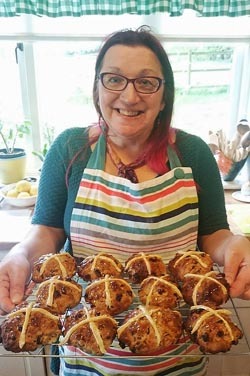 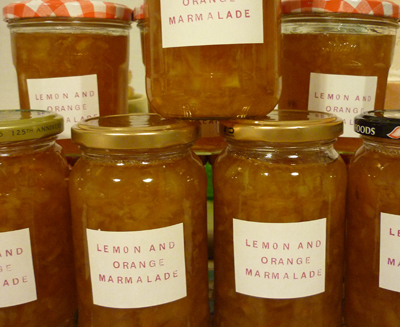 Marmalade – finally it’s done! 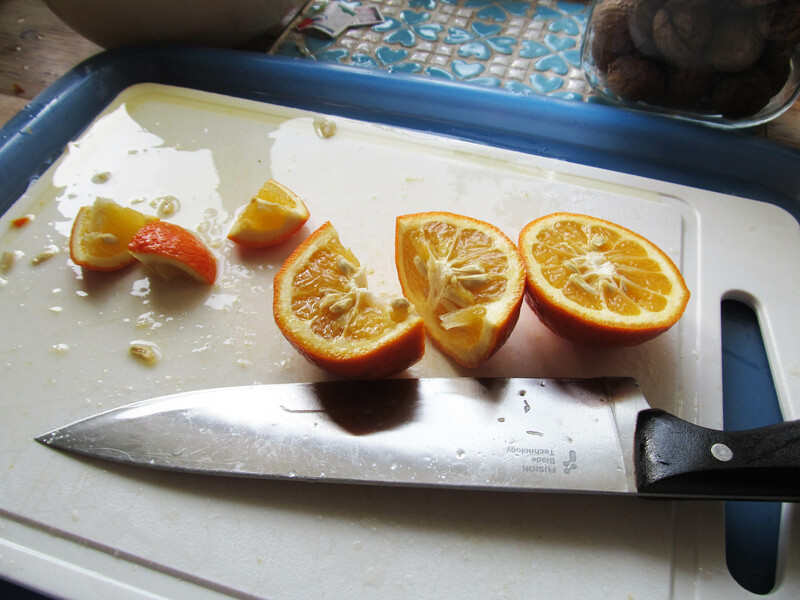 …although I do still have a few oranges left! 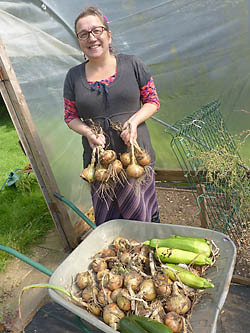 I try and make enough preserves to last us the year as we are aiming for the self-sufficiency thing! 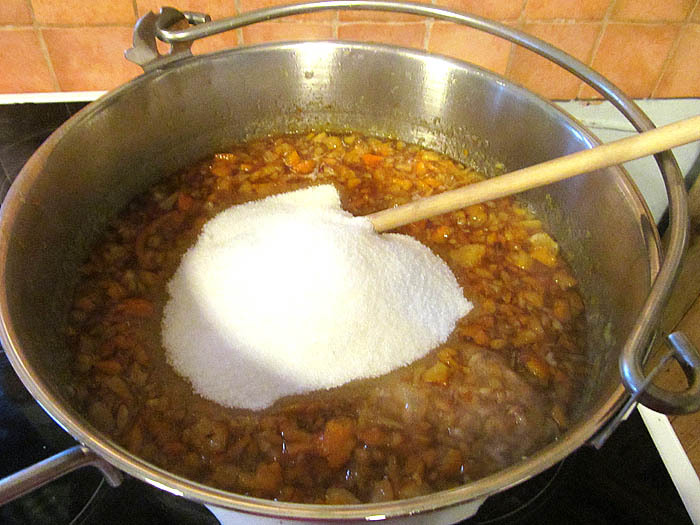 This marmalade is made nice and dark by adding a couple of table spoons of treacle, which is cheaper than buying brown sugar.